Sometimes a little detox doesn’t hurt – especially after eating lots of – not necessarily healthy – foods. 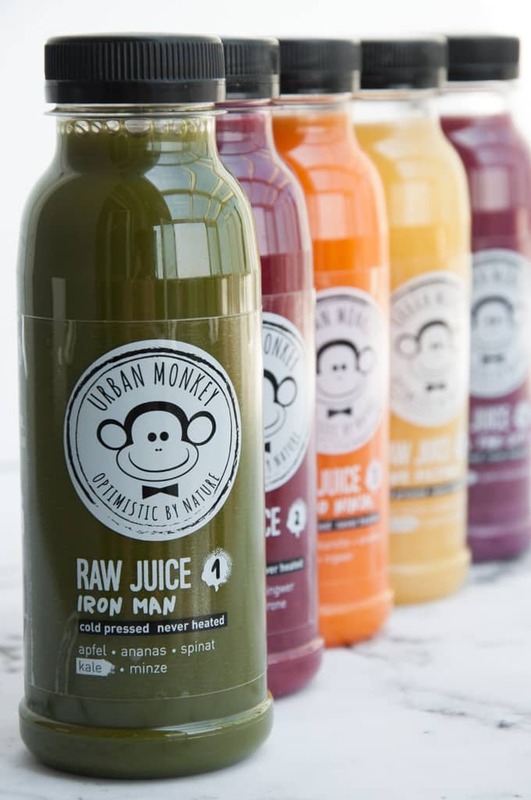 I just came home from our trip in Barcelona – so it was the perfect time to try Urban Monkey’s juice cleanse. This post is in cooperation with Lieferei. Lieferei is an online shop from Austria offering a fine selection of alcoholic and non-alcoholic drinks as well as snacks. They often have drinks and snacks that aren’t available in regular supermarkets, so it’s a great source of trendy new products to try! Okay, I’ll gladly admit it, I am a foodie tourist. Pretty much all I do on vacations is trying out all the vegan options a city has to offer, which – of course – I only do as a selfless action for my readers :P.
Eating all the food means that after every vacation, I feel like I don’t need or better should not eat for a week. 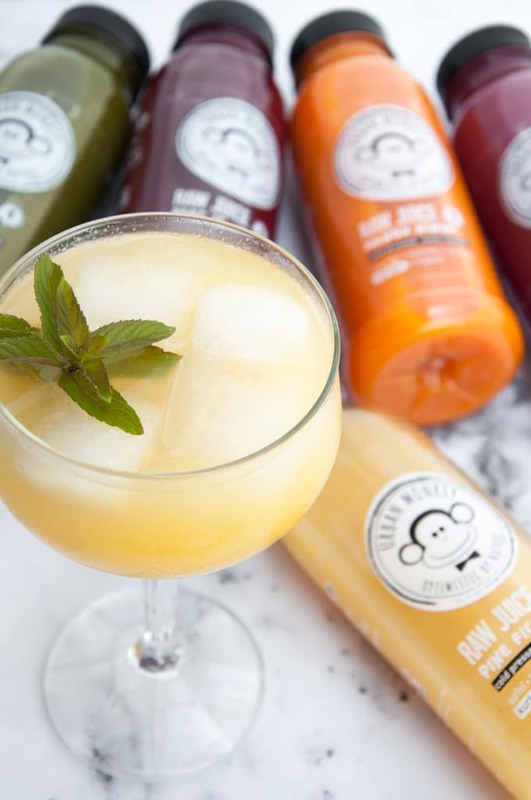 So when Lieferei asked me to try out Urban Monkey’s 3-day detox box, it was the perfect timing. Yes, please! 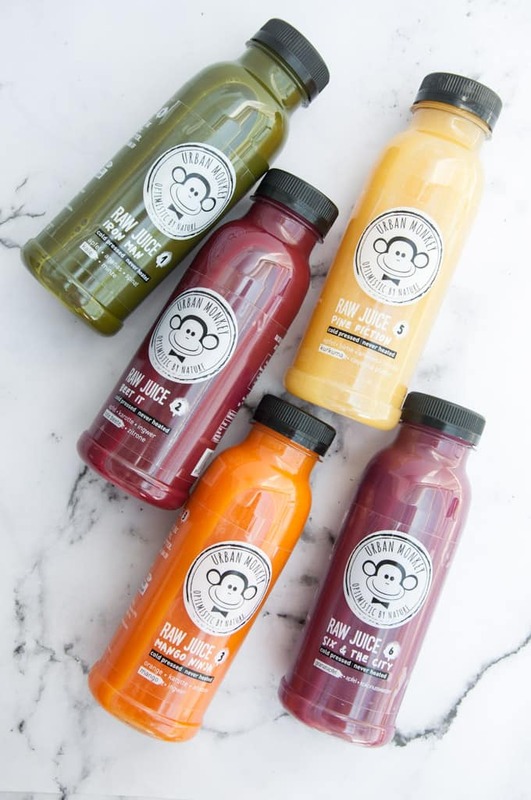 In the 3-day detox box, there are 18 juices – 6 for each day, so that means there’s one juice for every 2-3 hours. 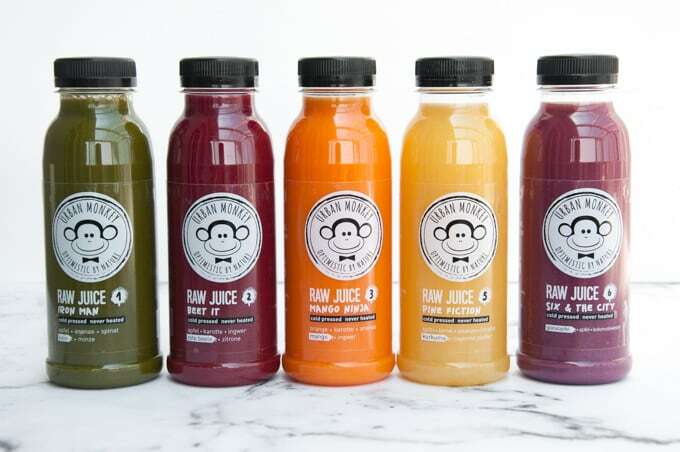 There are 5 different kinds – Iron Man, Beet it, Mango Ninja, Pine Fiction and Six & The City. All of the juices are absolutely delicious in taste, but if I’d have to pick a favorite, it would be the Pine Fiction one consisting of apple, pear, pineapple, lime, turmeric, and cayenne. I just love anything with pineapples! It’s perfect for the summer and it’s also a great post-vacay drink to keep your relaxed and sunny mojo going. There’s a recommended order in which the juices can be consumed. That means no preparing, not even thinking, just open the bottle and drink. They are cold pressed, raw and never heated. Plus, there are no chemicals, preservatives, artificial flavors, additional sugars, taste enhancers – nothing – just pure fruits and veggies that recharge your batteries. They are super colorful – I had to smile every time I opened the fridge. And of course, they are all vegan. The juice cleanse was actually not as hard to complete as I thought it would be. Once you get used to not cooking, which is quite the contrary of everything I usually do, you eventually appreciate the simplicity of this 3-day detox. Because all of the juices are already prepared and ready to go, I had so much free time, which I spent the most part gardening or doing some background blog work. Oh, and of course, planning the next recipes because I came home with lots of recipe ideas from Barcelona. I was still thinking about food all the time. I can’t change who I am :D.
I actually didn’t plan too much for the days of the juice cleanse since I was unsure if I was maybe energy drained. To my surprise, this wasn’t the case at all. I still enjoyed taking things a bit slow these days and combined the juice cleanse with an emotional cleanse and got rid of old, unused clothes. A cleanse on multiple levels was just what I needed. 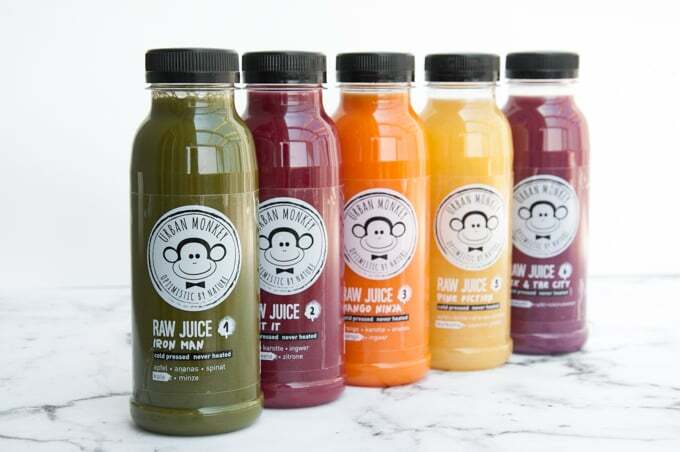 What I’ve learned: A juice cleanse doesn’t have to be sad. 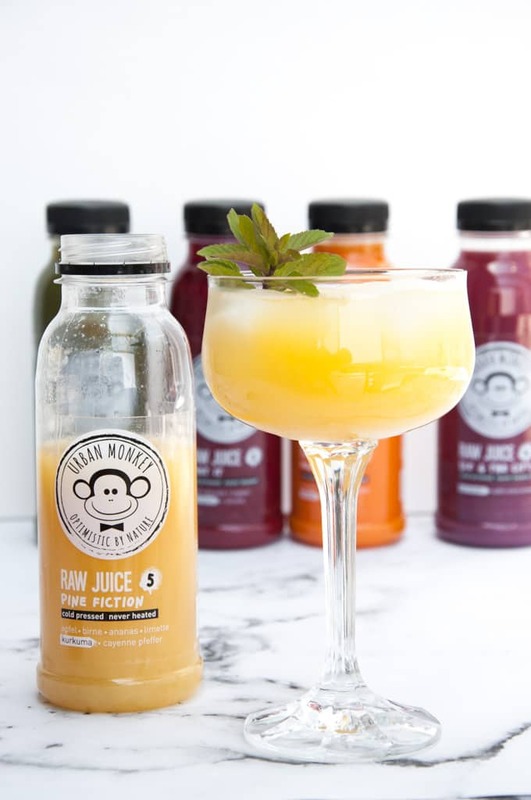 You can easily take your juice cleanse to the next level by pouring the juice of your choice in a pretty glass, adding lots of ice and garnishing it with mint. Why not make yourself feel good in a pretty and classy way? You deserve it! Interested in trying the detox box as well? By using the coupon code “elephantasticvegan10” you get a 10€ discount on your detox box order on lieferei.at. Thanks to Lieferei for partnering with me for this post! And thanks to you, dear reader, for supporting the brands that help support Elephantastic Vegan in return. 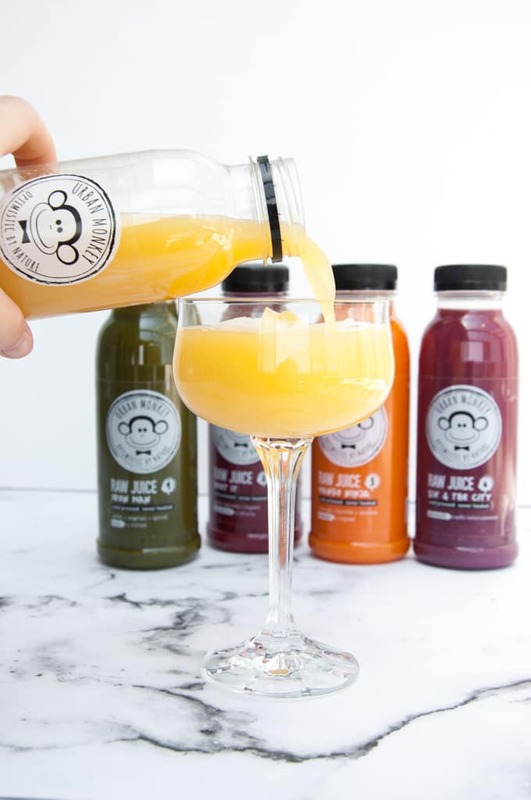 This cleansing juices will give a great result to your body. It will help you to feel better. Make it a habit to cleanse your body with natural ingredients.